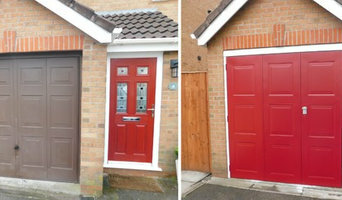 JB Doors are one of the leading garage door suppliers specialising in expertly fitting and installing top-of-the-range garage doors throughout Rotherham, Sheffield, Barnsley and the surrounding areas. With over 30 years’ of experience in the industry, we have earned a reputation from our customers for being an efficient and reliable company you can trust. 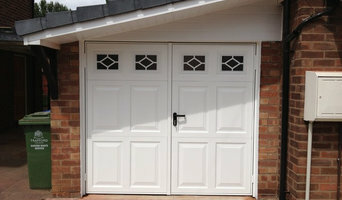 The Garage Door Store are a showroom in Rotherham who display products from the leading manufacturers of Garage Doors. 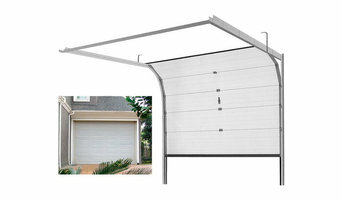 The Garage Door Store also act as suppliers and installers of high-quality garage doors. With over 30 years experience in the garage industry, Lidget Compton have built a reputation of unsurpassed quality attractively designed buildings. Continuous investment in plant and machinery have enabled us to develop concrete garages which are rigid, strong and cost-e!ective in both design and manufacture. video We believe that here on our website there is something for everybody, be it single, double, high roof garage, garden building or specialist structure... the list goes on and is constantly under review. A quality concrete garage to suit your needs with a competitive price to match. Produced at our modern factory using the latest technology, delivered to your home and erected on the same day by our own qualified fitters... not as with some companies - delivered one week and fitted the next. With years of experience, Access Garage Doors are the leading suppliers of high quality garage doors within the Bradford and Halifax area. With a huge selection to choose from, contact one of the team today to discuss your requirements. In terms of aesthetics, your garage door and roller shutters should complement the exterior of your home, so use coordinating materials and colours. If you’re going to choose a roller door, you will have to stick to steel or aluminium, but will be able to choose any colour for the coating. Part of the secret to great-looking garage doors is the way they harmonise with the rest of the home’s exterior. A garage door manufacturer or designer in New Mills, Derbyshire, UK might be able to collaborate with your home’s architect, designer, builder or other home improvement professional to design a stunning exterior. Here are some related professionals and vendors to complement the work of garage doors: Cladding & Exteriors, Doors, Home Builders, Design & Construction Firms, Artists & Artisans. Find New Mills, Derbyshire, UK garage door and roller shutter professionals on Houzz. Narrow your search for garage door professionals by selecting the nearest city or postcode. Look at portfolio and product photos, and read reviews to find the best garage door professional for your home.